The java.util.Collections class provides shuffle() method which can be used to randomize object stored in a List in Java. Since List is an ordered collection and maintains the order on which objects are inserted into it, you may need to randomize elements if you need them in a different order. Collections.shuffle() method uses default randomness to randomize element but you also have an overloaded version of shuffle() to provide an instance of the java.util.Random object, which can be used to randomize elements. Since this method except for fora List, you can also pass it to LinkedList, Vector, CopyOnWriteArrayList, and others, which doesn't implement the RandomAccess method. In such cases, this method converts lithe st to the array before shuffling to avoid quadratic performance by shuffling sequential access list. Once shuffling is done it also converts back array to list. Shuffling has many usage e.g. shuffling deck of cards in a poker game simulation. You can also use shuffling to roll a dice if you are developing any board games which requires dice e.g. Ludo or Snake and Ladder. You can shuffle the list of any object but shuffling a sorted list of numbers makes it easy to understand by just looking at the result. In this program, I have first created a list of some integers and initialized it at the same time by using our ArrayList one line initialization tip. Once you got the list of integers, we have passed that list to Collections.shuffle() method for shuffling. It doesn't return anything but shuffles objects contained in the list. You can print the list before and after calling to Collections.shuffle() method to see the effect of shuffling. * Java Program to shuffle elements of a List. * Collections.shuffle() is used for shuffling. You can see that before shuffling numbers are in the same order they were inserted into the list but after shuffling they are in some random order. We shuffle again with our instance of the Random class which again changed the order of elements inside the list. 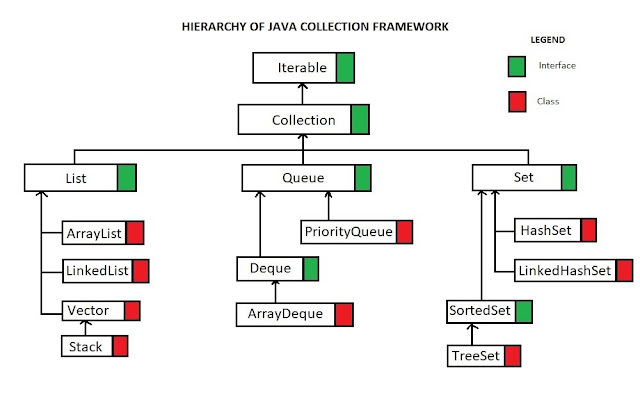 If you are interested to learn more about shuffling collections, you can also check Java Fundamentals: Collections by Richard Richard Warburton on Pluralsight, one of the most comprehensive courses on Java Collection Framework. 1) Collections class provide overloaded shuffle() method, one uses default randomness while you can provide a Random object to other shuffle methods. 2) List implementations which don't implement the RandomAccess interface, this method first converts them to an array, shuffles them and convert them back to the list to avoid O(n^2) performance. That's all about how to randomize object stored in a list in Java. You can use any of those two shuffle() methods to shuffle a list of object. There is no requirement that an object should implement Comparable or anything, you can basically shuffle the list of any object in Java. Thanks for reading this tutorial so far. If you like this tutorial then please share with your friends and colleagues. If you have any questions or feedback then please drop a note.